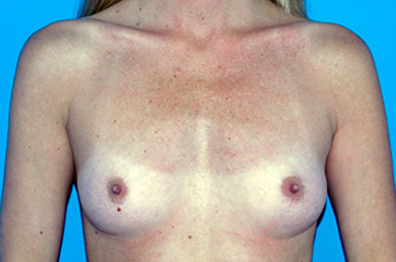 Breast Augmentation | Donald Altman M.D. 225 cc Mentor Smooth Round Moderate Plus Silicone Gel Breast Implants were placed partially behind the muscle through an incision under the areola. Implants appear larger on an individual with a slender frame.